Reading Gretchen Rubin's The Happiness Project was probably one of the best things I chose to do in January. After all this is probably the hardest month to get through cheerfully if you live in the Northern Hemisphere. Struggling with the return to work through the cold dark days of January was eased by Rubin's month by month quest for happiness. Each month Rubin chooses a theme for the month (love, work, friends...) and sets simple resolutions (act more energetic, quit nagging, sing in the morning...) She recounts her successes and failures and intersperses these with wise words from scholars, scientists and even her own blog readers. Rubin discovers some 'Splendid Truths' about happiness along the way and realises that it is not selfish to pursue happiness. She finds happiness by reflecting on her life, helping others, living in the moment, believing that she is happy and simply 'being Gretchen'. Starting a blog alongside her project became another source of happiness and one that does not surprise me. Writing a blog can be both selfish and giving but it is a definite new source of happiness in my life. Read this book and you might believe in happiness too. Hi love your blog. Have just decided to start a blog. Hoping it will be good therapy!.I have the Happiness Project Book and have not started reading it yet!. I remember when I ordered it really liking the sound of it. Think I should get my finger out! 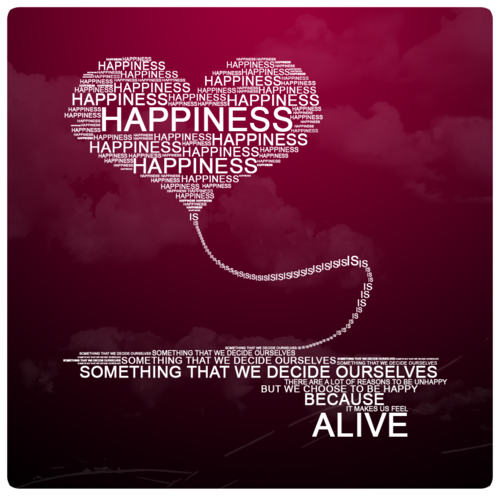 It's made me realise that I'm happy most of the time and has helped me to understand what can contribute to happiness. There's also some good tips for getting on with others better (grumpy children, especially). I read it last January and felt the same way. The Northern Hemisphere can be a depressing place this time of year. Sadly I didn't feel up for doing all of her monthly lists (so many lists) but I still got a lot out of it. Is it available in an ebook? I'm definitely interested. It's been a dreary, dreary winter. Claire, thank you for this review. I'm putting this book on my 'soon-to-read' list!